2. When you have guests in town (for three weeks) it's hard to get motivated to work (instead of play), especially since I work from home. *sigh* Regardless, my jewelry orders and newspaper deadlines await! 3. After hearing Rachele's query story (on yesterday's post), I am feeling a little more settled about this whole querying process. I am refreshing my email every 20 minutes now, instead of every five. It's an improvement. 4. I look forward to my weekend plans that include a certain six-year-old's party, a belated Father's Day brunch, and boating. Weather, you had better hold up! 5. I hope everyone has a GREAT WEEKEND as well! Um, they have whipped peanut butter? How did I not know this!? 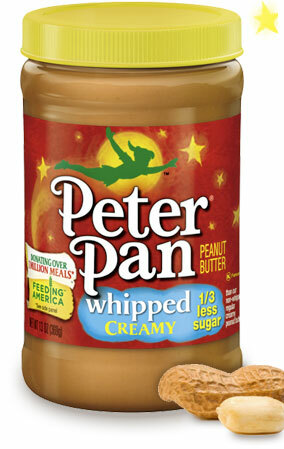 You can whip peanut butter? Sound intense. Hope you have a pair of great celebrations Christina! Today's guest blogger is Tahereh AKA TH Mafi! I'm with the others...whipped peanut butter? Sounds like something my little Diva would love! Yay for peanut butter! I hope it tastes as good as you remember it ;o) Have a great weekend! And btw, have you ever heard of Peanut Butter & Co? They make AMAZING peanut butter. I'm addicted to their Cinnamon Raisin flavor. Omg thats awesome! I want that peanut butter! I love creamy, whipped peanut butter. Have a great weekend yourself!! That IS an improvement.... Enjoy your visit, the birthday party, the boat, the brunch, and most of all the PEANUT BUTTER in all its whipped glory. Sounds YUM! Enjoy your weekend with the fam, and let the refresh button relax. It will all work out...eventually. I love peanut butter!!! Especially that brand!! Woohoo!!! Good luck being a little bit more productive, when people visit you and are on vacation you find yourself joining in on their fun, so I can relate!!! Good job on the 20 minutes... that's not easy, but still an amazing feet! Sounds like a fantastic weekend ahead :D Have a great one, and hope the weather holds out. Enjoy the PB! omg YUM I LOVE PEANUT BUTTER!! and i know what you mean -- sometimes we need to hear about others' experiences in order to calm our hearts. haha this journey can be so exhausting!! Mary Love the 5 post!!! Yum Peanut butter! Twenty minutes is a huge improvement. You brought me back to my querying days. I checked my email obsessively. I remember that!! Haha. Did you get a lot??? haha. Have a great weekend. How nice to have her bring you that special peanut butter! The weekend was always a crazy time for me when querying (and now when subbing) because I liked to pretend that agents/editors use that time to read manuscripts and maybe I'll hear something on Monday. I'm nuts, I tell you! I'm impressed by refreshing every 20 minutes...I'm crossing my fingers that one of those hits of the refresh button brings good news! Oh...you know 'the email' is going to happen. Believe it. Own it. It's coming your way. p.s. 100% yay for whipped PB.